Social media and fitness have increasingly been forging a partnership, and now a new San-Francisco based start-up has come up with a way to make social fitness pay – rewards based on the healthy behaviours that you demonstrate within your fitness apps. For the BurnTech.tv readers who love their health and fitness, AchieveMint could be the perfect company for you. So what exactly does AchieveMint do? The company aggregates a vast array of data from your fitness, health and social apps, and scans then looking for signs that you have been healthy. 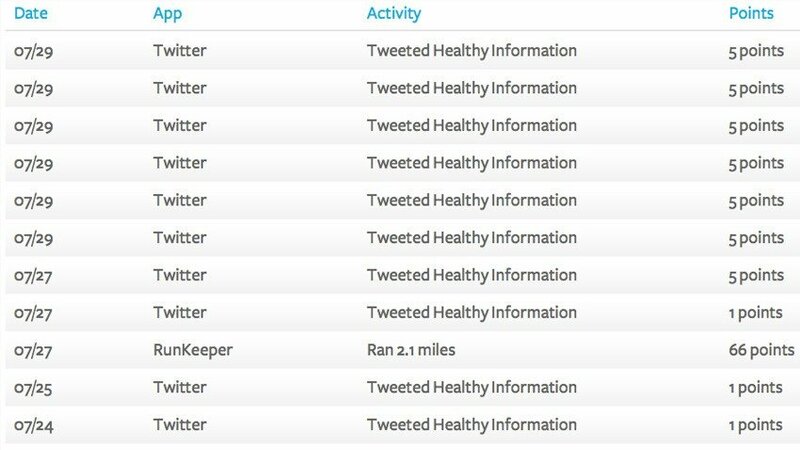 So popular fitness apps like RunKeeper, Fitbit and MapMyFitness all feature, alongside regular social media apps like Twitter, Facebook, Vine and Instagram. So lets say you are living in the UK and it is a Saturday morning. You go for a jog and you log it with MapMyRun, combined with your activity tracker to deliver better accuracy around calories burned and other key fitness metrics. 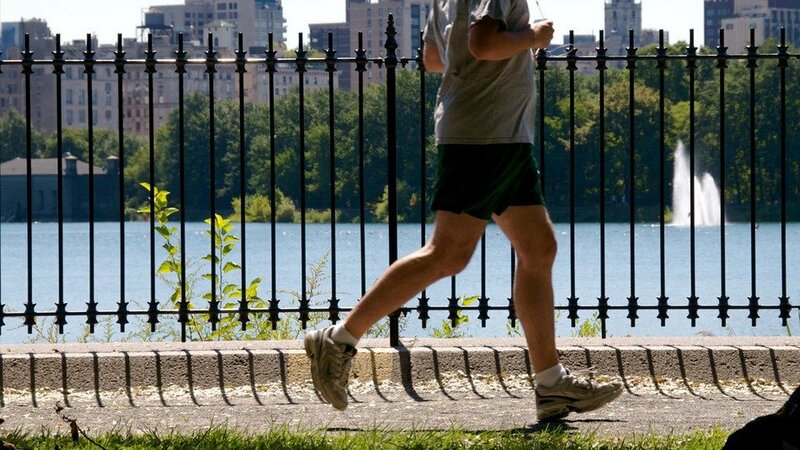 Having completed your run, you share it on Facebook using the social plugin. Later that day, you go food shopping and you check in to say Whole Foods on FourSquare. That evening you cook a healthy dinner and you tweet a picture of it to the world and share it on Instagram. These are all behaviours that social fitness fans are doing – perhaps not all in the same day – but they are common behaviours. 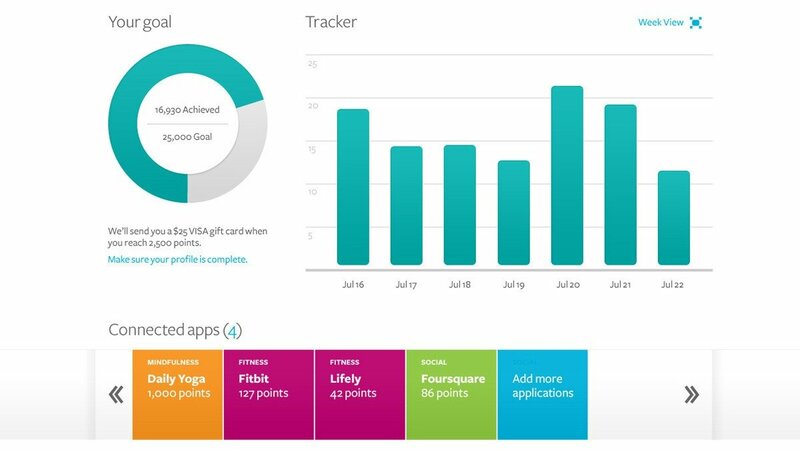 AchieveMint is able to track all of this healthy behaviour, and it turns it in to points. The points lead to rewards, whereby 1,000 points equates to $1. You can spend these points on sporting merchandise or even turn them into cash. Naturally though, AchieveMint will push you towards the merchandise, which provides a nice advertising opportunity for the big sports brands. You don’t even need to be a fitness and health nut to take advantage. In the typical Silicon Valley way, AchieveMint’s CEO Mikki Nasch is showcasing an evangelical social outlook. He wants his company to reward not only those who’re striving to hit a new level of fitness, but also those who are ‘doing good’. Therefore, the company have worked to find a whole bunch of activities that could be considered “either healthy or good for wellness in general”. Therefore checking in to the church or tweeting pictures of your day at the beach both count. The company is right to look at health in its wider perspective, because naturally health is about more than just slogging yourself on the pavements of your local town or city. Health is a broader equation, taking in fitness, diet and general wellbeing. For Nasch, health is a ‘holistic thing’. AchieveMint wants you to use the crowd for inspiration too. They feel that a vibrant community platform can help them to inspire people to greater heights in their quest to be healthier. In essence, you’re crowdsourcing a fitness instructer, which is a new take on what social fitness can achieve. On a very simple level, they feel that the service can encourage people to think differently and make better choices, whether it is as simple as walking one stop further in the morning to catch the tube, or to extend the example further, walking up the escalator rather than being carried up it. It’s all about moving subconscious decisions into the forefront and getting people to think about ways that they can help themselves, having being inspired by the crowd. So where is AchieveMint up to at the moment? Having launched last January, they have already secured 80,000 memberships. The app has so far being limited to the USA, although the penetration seems to be quite wide across the states and is not limited to the company’s home state of California. Ready to get paid to get fit? Getting paid to get fit and healthier sounds like most health nuts wildest dream, but for a new company it all sounds unsustainable. Great for you and me, but surely AchieveMint must be leaning heavily on some understanding Venture Capitalists? In reality the money will come from selling your data. They feel that they are accessing a vast array of new data which has never been available before. In the age of ‘big data’, there is sure to be a customer for that, from big ad agencies right through to the brands that directly operate in this space. There’s also sponsors, from teams to companies, who have a vested interest in keeping their employees healthy. If you’re ready to give it a go, then you will end up seeing a screen a little like the one below. It’s obviously pretty clear that the big points are to be made from doing the real healthy stuff and not just talking about it on social media. A decent run could be good for 300-400 points, so really keen runners could be picking up 3000-4000 points a month from that alone. Probably the biggest problem in all of this is the need to be continually using different social apps to fill the world in on your life. I’m more of a tweet reader than a tweeter, and my FourSquare has about 3 check-ins ever. My main fitness app at the moment is also Nike+, meaning that i am limited as to what i can do with AchieveMint, as that app is not yet integrated. Would rewards like this make a difference to the way that you behave and encourage you to be more active and”healthy” in your daily life? Share your thoughts in the comments.